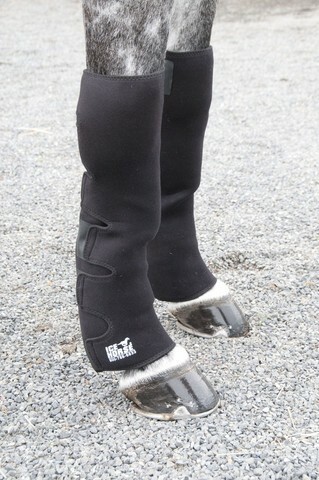 Ice Horse® packs mold to the horses legs for maximum coverage and stay cold for over two hours. Ice Horse® packs are reusable. When you are done, simply place your packs back in the freezer. Within hours they are ready to use again. Our unique breathable fabric keeps the wraps in place on the horses leg and the ice compressed against the area being treated. These full-coverage wraps envelop each front leg with six Ice packs for maximum cooling providing uniform compression and coverage to reduce heat and inflammation after work or injury.